ABC 7 KVIA reports that Texas Border Patrol agents have arrested two MS-13 gang members on two separate occasions this week for illegally entering the country. One of these illegal aliens has previously been deported from the United States four times. Last Sunday, Border Patrol agents working near El Paso monitored a group of nine individuals walking through the desert close to the southern border on the American side. After several hours, the agents confronted the group and all members admitted to illegally entering the country. 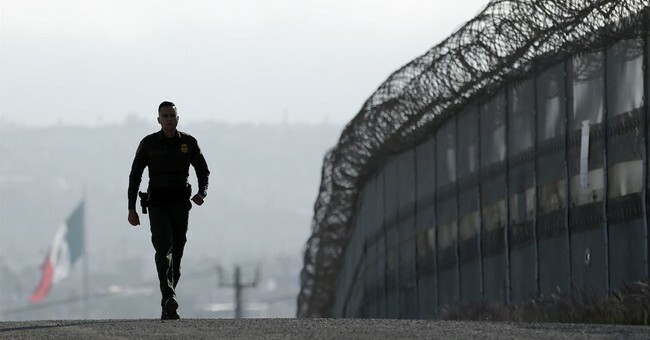 Federal authorities ran the group’s personal information and discovered one of the border crossers, 25-year-old William Amaya-Ortiz of El Salvador, is currently actively involved with the notorious Mara Salvatrucha (MS-13) gang. MS-13 actually began in Los Angeles in the 1980s, but often recruit members from El Salvador since it is a gang made up of El Salvadorian nationals. According to officials Amaya-Ortiz has been caught illegally entering the country four times before and has been deported each time. His rap sheet includes assault charges and at least one DWI in the states. Another MS-13 gang member part of a different border crossing group was arrested after sneaking into the country on Thursday morning. 30-year-old Oscar Armando Amaya-Martinez is an El Salvador national who has previously been arrested for extortion in his home country. It is unclear what punishments will be given to these illegal alien gang members.